Shashi Tharoor sustained injuries on his head, which required six stitches, when the hook of a weighing scale came off and its iron panel hit his head while performing 'thulabharam' ritual at a temple. 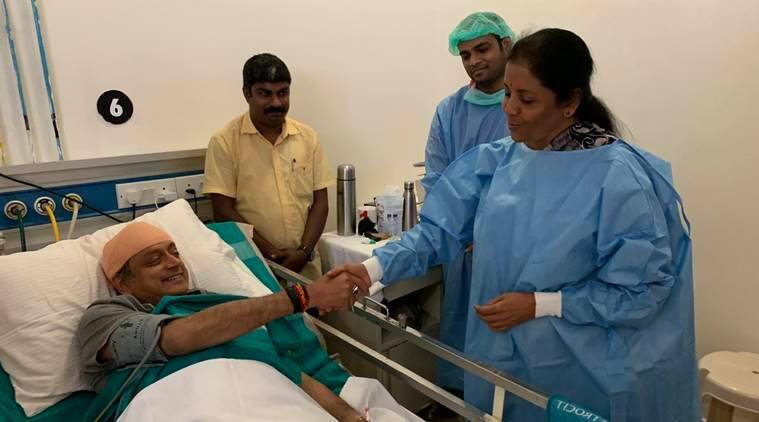 Sitharaman was also in Kerala at the time, participating in a roadshow with Kummanam Rajasekharan, the BJP candidate fighting against Tharoor from the Thiruvananthapuram Lok Sabha seat. The constituency is witnessing a fierce triangular fight between Congress leader and sitting MP Shashi Tharoor, ruling LDF candidate C Divakaran (CPI) and Rajasekharan, the former Mizoram governor.